Departement of Vaucluse - Luberon - Pop. : 200 h.
Between Cucuron (6km) and La Tour d'Aigues (7km). 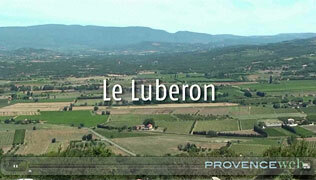 The tiny village of Sannes is peacefully situated in the middle of superb countryside which belongs to the Luberon. Wonderful walking trails enable you to appreciate the richness and variety of the surrounding vegetation which is officially protected. In the village, you will find the small town-hall/school, picturesque streets and charming houses. Aboveall, do not miss the "étang de la Bonde", an ideal natural swimming pool. You will be able to cool off at the height of summer which will be appreciated by young and old alike! 12th century chateau (privately owned, not open to the public). Cultural events during summer : painting exhibitions. Arts and crafts : pottery, painting on silk. Ansouis (4km), Cabrières d'Aigues (3km), La Motte d'Aigues (4km).